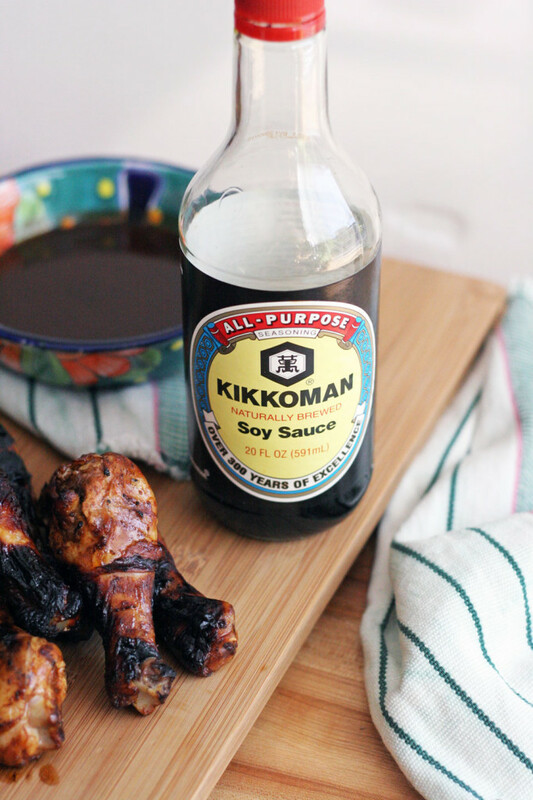 Disclosure: This is a compensated post in collaboration with Kikkoman and Latina Bloggers Connect. As usual all opinions are my own. 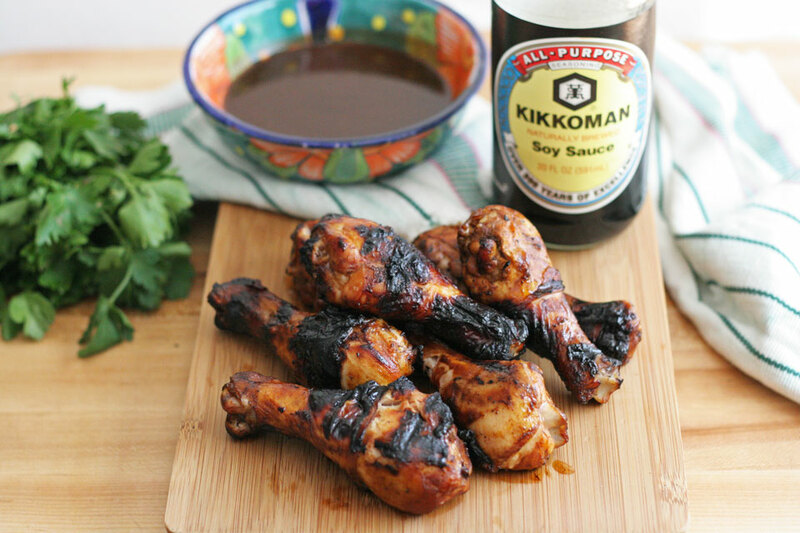 Visit the Kikkoman Sabor Site for other tasty bites made with Kikkoman awesome products! Making dishes from my childhood is easy breezy, I love them, they speak to my heart. Changing them up is a bit more challenging for me because you inevitably lose the memory in the original flavor, or at least that is what happens to me. But I do realize that from a childhood memory dish, things can also be made better, and awesomeness can arise from a simple change of ingredient. 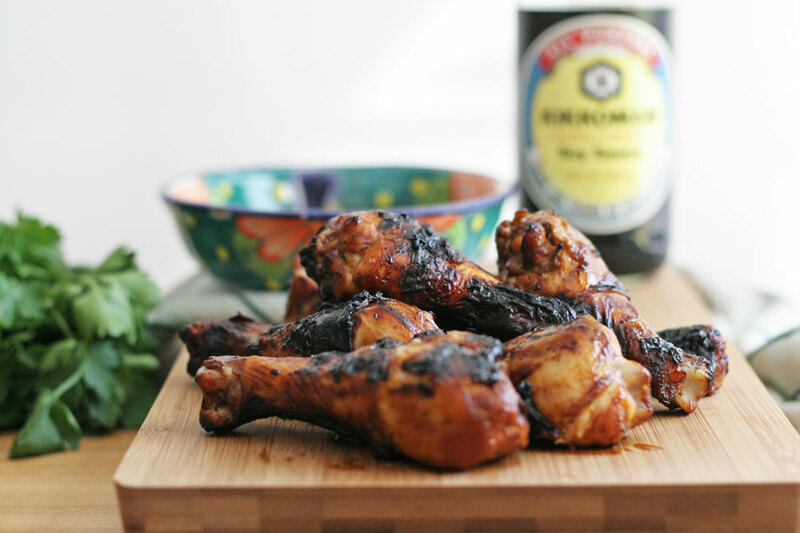 Drumsticks are a staple in many cultures, and homes. They are easy to cook, and relatively inexpensive. I buy organic free range chicken, so it costs a bit more, but has a way better flavor, which makes it nice to work with when marinating. We ate drumsticks soaked in delicious sauces, and salsas growing up, slathered sauce meat dishes? Yes, please. Adding a different source of sodium can add a depth of flavor to a dish that is difficult with just salt. 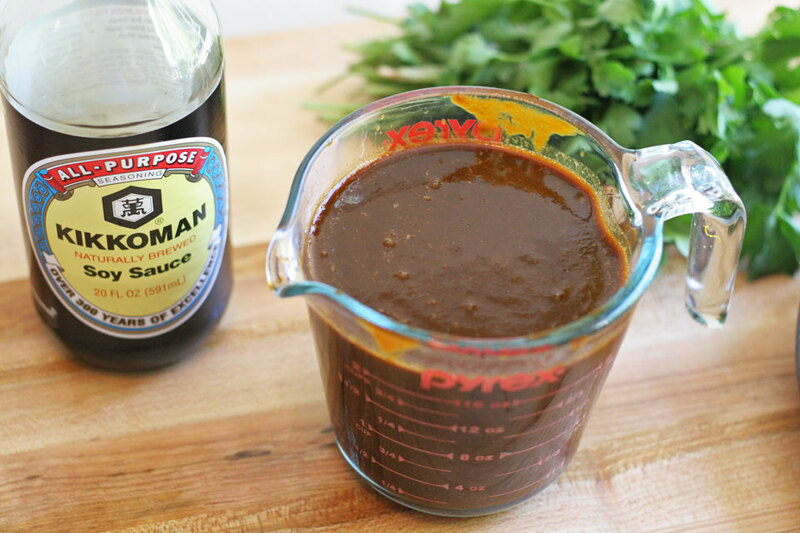 Adding it to marinades like this one with spice from a Pasilla pepper, sweetness from the orange and honey, and acid from the lime, the soy gives it a depth and flavor boost that comes out after cooking. I enjoyed the cooked flavor of this sauce, you can really taste the soy and Pasilla, with a rich smokiness and balance of sweet with salt. Which is my favorite part of developing recipes, finding the balance between sweet, salty, and acid is fun to me! I really love the history of companies, to know where and how they came to be a successful brand. 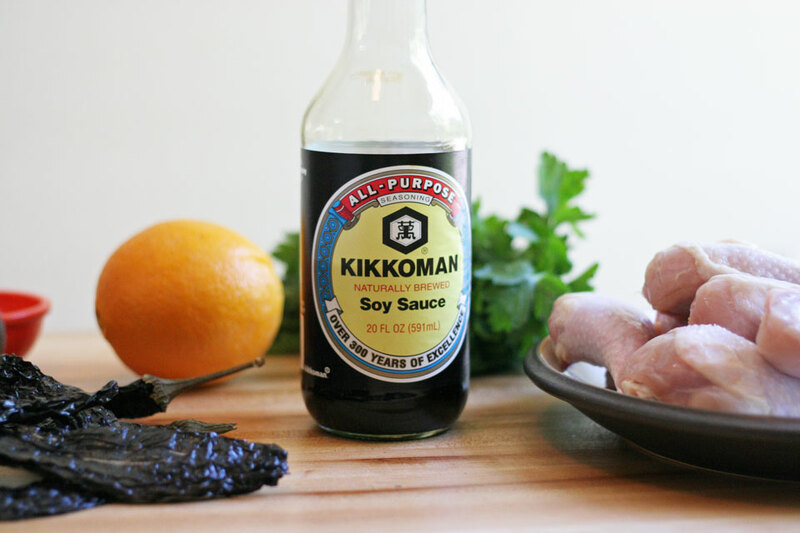 Kikkoman was started by a woman nearly nineteen generations ago, when it was unusual for woman to start companies, which I love. They grew slow and with care to insure a good product was being made. That is close to three hundred years of a family business, which is inspiring, and makes it all the better to work with a company like this. “Isogaba maware” is a Japanese axiom that translates into “Make Haste Slowly.” Which means to advance and grow, but to do so with tremendous thought and care. This comes directly from Kikkoman. 1. Pat the drumsticks dry using a paper towel, place them in a zip lock bag. Place the soy sauce, soaked Pasilla peppers plus water, lime zest and juice, orange zest and juice, honey, olive oil, salt, and pepper in a blender. Blend well, until a thick sauce sauce is formed. Pour sauce through a strainer. Then pour the sauce into the zip lock bag with chicken. Allow to marinate in the fridge for 1-3 hours. 2. Remove chicken from fridge. Get grill ready. Grease the grates by placing olive oil on a paper towel, and rub on grates. For gas and charcoal, get heat to medium. Note: We will be cooking over medium indirect heat, after browning over direct heat. 3. Place the chicken over direct heat, and cook for 4-5 minutes, turning to brown all sides. Rearrange chicken over indirect heat, and cook for 20 minutes, or until thermometer reads 165. Remove chicken and serve family style on a large plate. Sprinkle the fresh parsley over the chicken to serve. Serve hot, or store in an airtight container for up to three days for great leftovers.